This blog explores how music's creative principles and practices can be applied to everyday life and work. To see the previous posts in this series click here. The way Benjamin Franklin thought, allied with some of his other qualities and the nature and extent of his knowledge, offers important insights into a creative mind that was capable of making practical and successful inventions and innovations. Six aspects are particularly significant. Franklin had many interests and access to a varied and ever-increasing body of knowledge and expertise that he was willing and able to combine and apply as required to solve specific problems. He was a writer, scientist, printer, social commentator and moderniser, founder of institutions, musician and composer, and other things too numerous to mention here. Being a polymath, however, was only part of the reason for the effectiveness of his creativity and longevity of his innovative legacy. Key to these things was his strong believe that knowledge should be put to work to make a positive difference in the world. This belief made him think firstly about the problem at hand and then about the specific combination of knowledge, skills and experience needed to solve it. If Franklin needed additional knowledge and expertise he would gain them, by either becoming expert in them himself or calling upon the knowledge and expertise of others. This approach is clearly demonstrated by his creation of the glass harmonica: he made a positive difference in the world by enabling people to hear a new and beautiful sound; he used his musical knowledge to identify the notes and scales the instrument would play; he used his scientific and technical knowledge to identify the type of glass bowl and mechanism that would ensure quality of sound and ease of playing; he used the skills and experience of a professional glassblower to develop and make the glass bowls; he used the skills of a professional musician to test the instrument and introduce it to the public. Having assured himself that what he wanted to do would make a positive difference in the world, Franklin placed his challenge and the problems it presented front and centre of his thinking. He then brought together the unique mix of knowledge, skills and expertise he needed to solve his problems and meet his challenge. To read the next post click here. I would really like to hear people's views and ideas about music and creativity - just leave a quick message here. Charles M Lines trained as a musician and studied composition at the Colchester School of Music during the early 1980s. 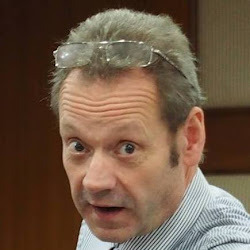 He joined the UK Civil Service in 1984 where he worked for various government departments, eventually specialising in management consultancy, training and development. In 1996 he became a Senior Lecturer at the UK Civil Service College. At the age of 41 he left the Civil Service to work as an independent management consultant and trainer. He has since been in demand both at home and abroad, providing management consultancy and training events to a very wide range of clients. 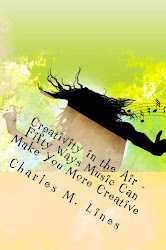 He speaks and writes regularly about creative problem solving and how music's creative principles and practices can help us all be more creative in our approach to life and work. Copyright Charles M Lines 2012. Simple theme. Powered by Blogger.